Chris started the Mortgage Division of Accurate Financial 11 years ago, after a successful career in Banking in the Financial Markets sector and since that time Accurate has written over $600 million in residential loans. Chris, a father of 4, has been a regular fixture in the coveted Mortgage Professionals Association’s “Top 100 Brokers” in Australia listing every year since 2006. Rob commenced his banking career with Westpac in the eastern suburbs of Melbourne in 1985. Rob is a banking all-rounder with vast lending experience, ranging from residential homes, commercial properties and medium sized property development up to $30M. Prior to joining Accurate Financial in 2011, Rob specialised in the Finance Broker Market for more than 10 years (on both sides of the fence, i.e. as a Lender and as a Broker). Rob has a passion for property and bringing clients’ dreams alive. If you get the chance to stand next to him at the “G” when Collingwood are playing, his other passion in life will be shouted out loudly and in full colour! James joined the banking world at a young age where he learned his trade with Australia’s largest bank the Commonwealth Bank. 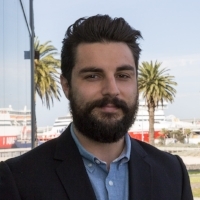 Moving up the ranks in branch land he found his calling with his first Home Lending Position.Working both in the CBD and within the inner suburbs of Melbourne, he serviced a range of different clientele. After a move and a quick stint with Bank Of Melbourne, the opportunity came knocking through Accurate Financial where he has been a Mortgage Broker since 2016.